I ordered blue. But it does collect water droplets a lot on the inside of the mouthpiece which then has to be cleared out with tissue otherwise it affects the vape taste. Because I was away from home and internet access, I had bought a 'universal' unit from the nearest retailer. This ended up leaking and inserting a coil was fiddly. I was glad to be able to get onto the Electronic Tobacconist website and order a replacement with ease; proper fit and no fuss and bother. this is perfect for vaping, you get a better stronger inhale than other clearomizers. i think the dual coil at the bottom instead of the top helps a great deal. it weighs hardly anything and fits snuggly in your pocket to use when you want, quick and conveniant, grat clean modern look as well, love it top notch !! 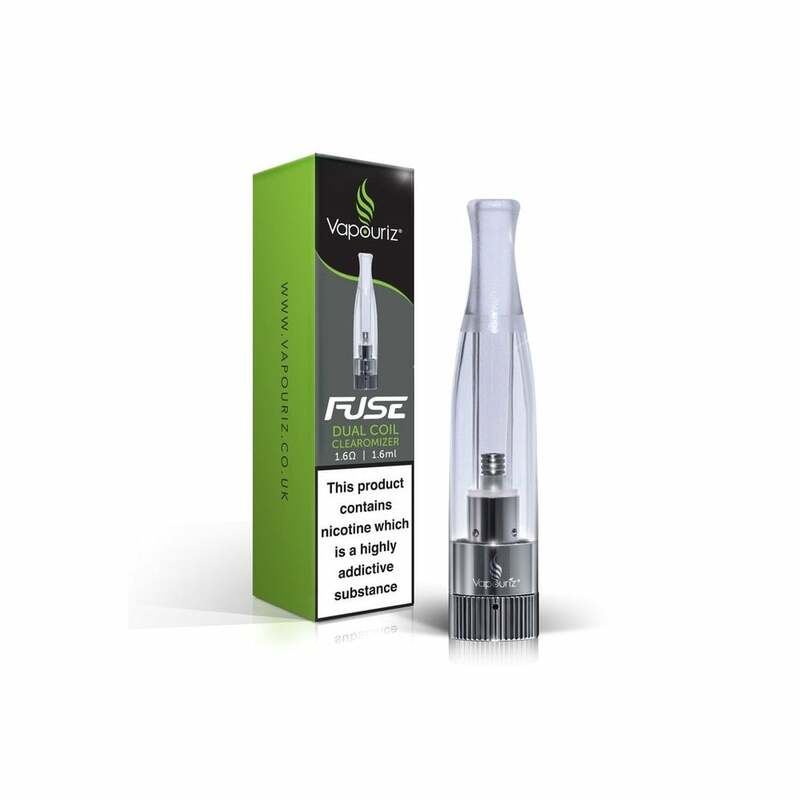 I have been using this Fuse range for 2 years now which helped me give up smoking cigarettes. I highly recommend this Ecig as it gives a good amount of vape and the battery life is impressive. The design makes it easy to fill the 1.6ml clearomizer and if you follow manufacturer guidelines you'll get a good amount of time from the ecig. The price is a bargain for the quality you receive and the simplicity of buying the separate components makes it very worthwhile. I had initially planned to start with this Ecig then move on to the bigger kinds but I haven't had to as this one does the job for me. The tank is fragile and therefore has a very short life before it starts leaking. Very disappointing. As much as I like my Fuse vaper for its ease of use & the fresh taste it gives, I find the clearomizer ridiculously fragile. The plastic part breaks away from its metal base far too easily. Bad design fault. Excellent product. So glad I stopped using cheap materials to vape. I use a new one of these once a week. It's still cheaper than the real things... Much cheaper. Once again a great clearomizer. I thought it was blue! Good cartomiser; tends to leak quite heavily after filling and I think top filling would be better. But it could be I'm doing something wrong.